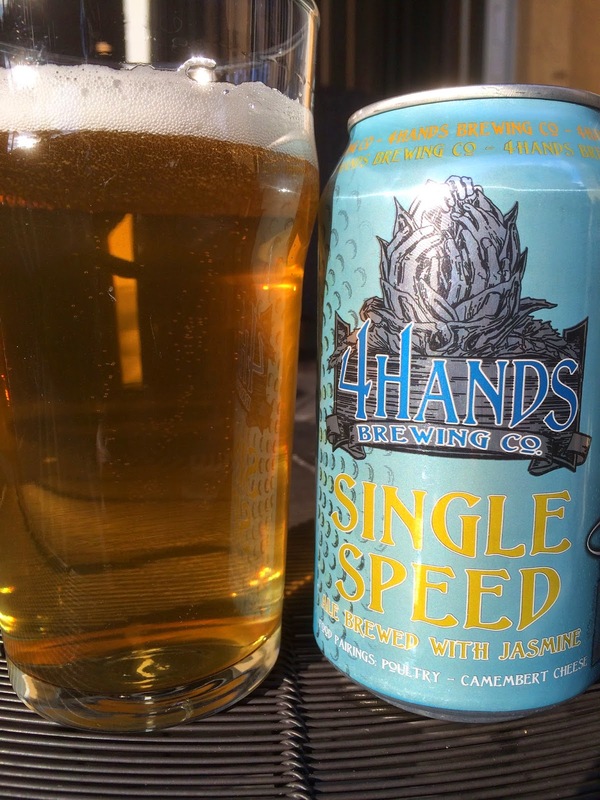 Next up from 4 Hands Brewing is their Single Speed Ale, brewed with Jasmine. This is another of the newly canned beers the brewery sent me to check out. 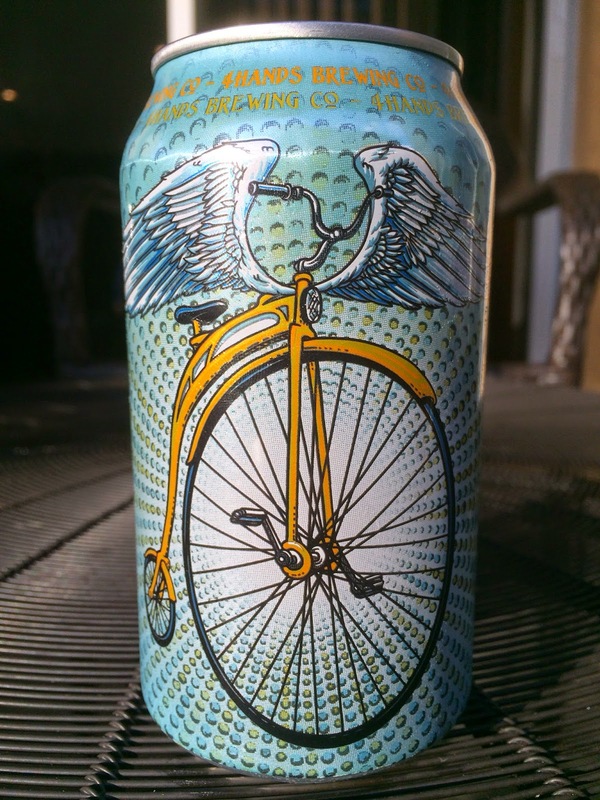 The can art shows an old-time bike (which has a name but I'm too lazy to look it up), but this bike has wings ready to take off, like beautiful Victoria's Secret wings. Food Pairings: Poultry or Camembert Cheese. 5% alcohol. Floral aroma, very floral. Grainy to start with a big flowery middle, lots of jasmine. And as big as the jasmine hit in the middle, it is double intense in the finish. There's a honey sweetness that persists as well. Light body, simple. Decent flavors but Jasmine just gets annoying by the finish.